A lot of people dream about trip to Japan. But what is best time to go where? It depends what you want to see and how many things you want to see. 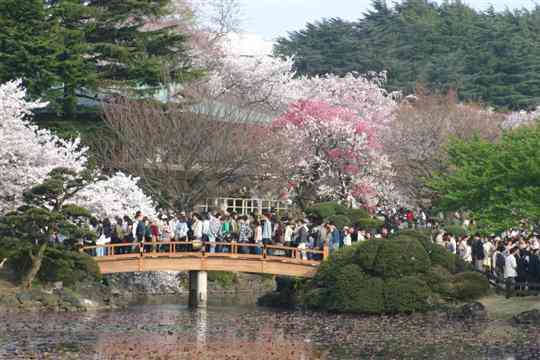 If you are up for cherry blossom viewing, so it is much easier to find out what is best time to visit Japan. Of course the time can be different each year, but usually cherry blossom bloom from late March until end of April. Here are average dates from previous years to make your planning easier http://www.japan-guide.com/e/e2011_when.html. The time also can vary depending to which place you are going because Japan is not such small country after all. Here is a list of top 5 most popular places for cherry blossom viewing with best time to do it in that place. Have a nice viewing. It is really wonderful experience. But this year probably is not the best time to go to Japan for sakura viewing as it will take some time to get everything to normal after latest earthquake in Japan. Yes, I agree this year is not a good time to visit Japan following the recent disasters. However I think April is probably the best month for the cherry blossom viewing and they are absolutely glorious in some areas at this time of year. the sakura aren’t just mere attractions. it is a symbol of japan’s stunning beauty; and it gets more gorgeous when viewed from the perfect place. thanks for this blog post! this sure helps!